I posted about Dr. Katherine Verdolini Abbott's work in motor learning a little more than a year ago, which you can find here. It's fascinating stuff, the kind of stuff that has changed the way I teach. 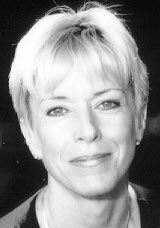 She gave an address to members of the National Association of Teachers of Singing during the summer of 2008 which - in my humble opinion - should be required listening. You can find her address here. Verdolini Abbott's work has also changed the way I view the empirical teachings of the Old Italian School, specifically that of Francesco Lamperti, a man who, as far as I can tell from my research, spoke little, but accomplished much. 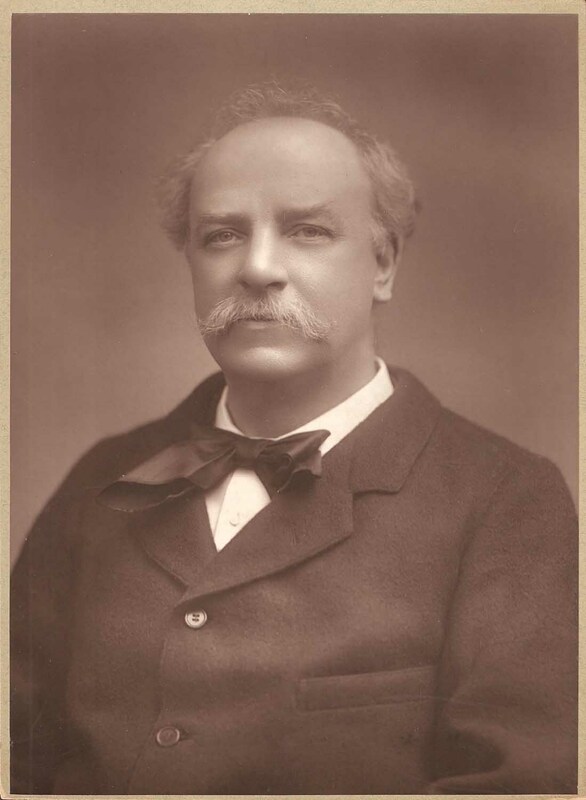 As such, he was big on the 'how' rather than the 'what' of singing, which Verdolini Abbott addresses at length. She also introduced me to the wonderful word auditorialization. Auditorialization involves - as I see it - three avenues of perception; that which we hear via air conduction; that which we hear via bone conduction; and that which we feel, which is the vestibular aspect of our listening ability. It's based on the vowel sounds A, E, I, O, and by doing that, you just warm up. ... Because every day you really feel quite different. By doing the scales, you get a center, and all of the sudden you feel in control of your voice, where it's relaxed. And it takes about 10 or 15 minutes. 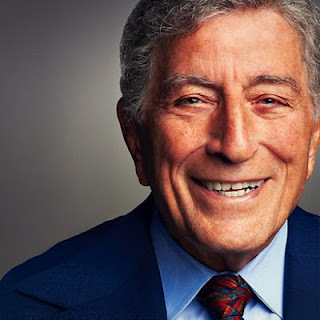 I don't sing operatically, and I sing very intimately, but I still do the scales, and I think in terms of intonation and making sure that I'm hitting the notes right on the head ... and having it appear quite effortless. I was very fortunate, after World War II when I returned to the U.S., to be able to have some remarkable teachers under the GI Bill of Rights and was able to study at the American Theatre Wing. It was there that I worked with Pietro D'Andrea, who taught me the Bel Canto technique, which is what opera singers use to preserve their voice and it has absolutely helped me over the years. 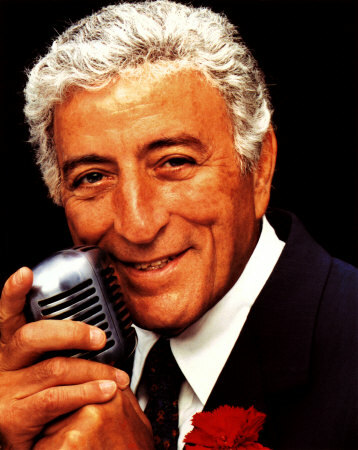 The man is a veritable master of his craft, which you can hear by listening very closely to how he sings. Towards that end: I encourage you to listen to the cut below and focus on the manner in which Bennett sings two consonants- m & n. Why? When you can hear them in the way Bennett does, your voice will seem as though it comes from two places at once: the center of your head and the front of your mouth. This isn't just an affectation. The old Italian school singers were taught to do this, the Lamperti people especially. Oh sure. The science people will tell us that these sounds are in the region of 1500 hz, that is, where nasality is perceived. But does Bennett sound nasal to you? Nope. Me neither. Ok then. Let's not confuse facts with art. The simple truth is this: when you can savor sounds you can sing. Though the start of a tone seems hum-like, and felt at a certain spot in the bony structure of the head, it is useless to insist on the sensation of a focus, until the body instinctively compresses and pelvicly controls breath. The spot where tone seems to start, is the place where the vibration of "ng" (as pronounced in the word "England" is located. From Vocal Wisdom: Maxims of Giovanni Battista Lamperti by William Earl Brown (1931). You can find more on Bennett's technique here. 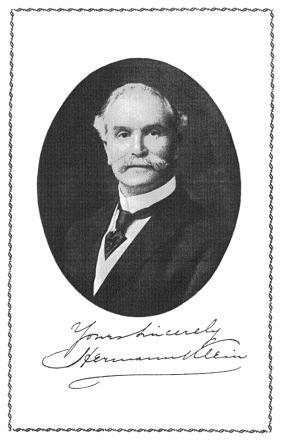 I thought you might appreciate a little more context to my earlier post regarding Herman Klein and 'standards' so am including Klein's thoughts on the founding of The National Association of Teachers of Singing, his role as chairman of the first organization in America for singing teachers, and the failure to bring standards to the singing teacher profession. Taken from Unmusical New York: a brief criticism of triumphs, failures and abuses (1910), you can find the text in its entirety here. The latter founded a ‘National Association; some five or six years ago, which at one time gave promise of initiating and accomplishing valuable reforms for the protection of the public and for the advantage of the profession generally. 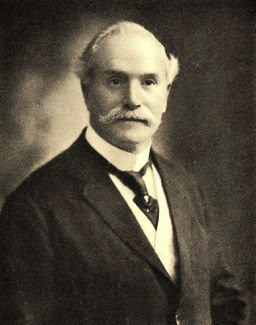 Of that association I saw a great deal, since for nearly three years I acted as chairman of its Executive Board and resigned only a few weeks before returning to England, namely June 1909. The notion that singing teachers can get together and agree upon a broad definition of the technical principals of their art is universally discredited. Strange to say, the National Association did accomplish this remarkable feat and the rock upon which we split was not a matter of mechanism but a question of policy. I held (and the majority of members agreed with me) that the first duty of the association was to examine candidates as to their fitness and ability to teach singing, and if satisfactory, to award diplomas. The minority were of the opinion that there ought not to be examinations, and that the first thing to do was to establish a school for the training of vocal teachers. Upon the horns of this dilemma member after member of the executive board resigned, and the whole organization threatened to tumble to pieces. I appealed to the leader of the minority, but he remained implacable. Then, to prevent further disruption and knowing that I was soon to leave New York, I tended my own resignation, and with regret said good-by to the National Association of Teachers of Singing. Thus ended a dream of unity and good-fellowship which many declared at the time to be Utopian, but which, had it not been for the stubbornness (if anything else) of the individual referred to, would unquestionably have been realized. Clearly, Klein was bitter regarding his sojourn in America. Why else write a book with a title that included the word "unmusical'? Take that, New York! For its part, I imagine the land of the free and the brave wanted no part of what it perceived as Victorian orderliness, that everyone queuing to the right sort of thing. Much too tidy for the cats of culture. It still may be. Herman Klein has appeared on these pages as recently as a few days ago. Since then, I remembered an article that he wrote after publishing an essay titled "The Bel Canto: with particular reference to the singing of Mozart, (1923)." The article in question—which is presented in full below—was published a year later in 1924. I so very much enjoy Klein's writing, both for his clarity of expression, and information that is as relevant today as it was when he sat down to write eighty-eight years ago. In this case, he withholds nothing while demystifying the art of Bel Canto. 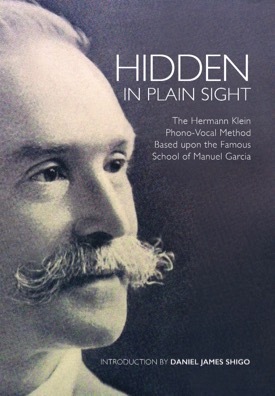 Uniquely suited to write about singing as a student of Manuel García, Klein's words shine a light on studio and performance practice, stretching back to the time of Nicola Porpora. Interested readers can find Klein's 1923 essay here. One word to the wise: Klein uses the word vibrato differently than we do today. From remarks he makes below and in Herman Klein and the Gramophone, I feel certain that he did not mean the natural oscillation of the voice which is pleasing when it occurs from 6 to 8 times per second, but rather, what we would call tremolo. What is Bel Canto? The literal meaning of the term, as most are aware, is 'The art of Practice of Beautiful Singing.' It is not exactly a term in common use, but singers generally surmise that it is intended to refer to an ideal kind of vocal art associated with the old Italian school, and not encountered so readily as cabbages and turnips and the other vegetables that ordinarily adorn a musical greengrocer's shop. Curiously enough, it never occurred to me to use this term as a title for the lecture which I gave at Wigmore Hall a year ago. Hoping to appeal to a wider public, I simply called it 'How to sing Mozart,' to interest a few of the people who are supposed to worship the very name of Mozart. Alas, it didn't crowd the hall! But after the notices had appeared, there was a different tale to tell: everyone wanted me to repeat the lecture. I declined to do so, because I knew that if I did, the singers who ought to have come to take a cheap lesson might again stop away, while the professional 'dead-heads' would surely be disappointed if they did not receive free tickets. So I resolved, after reading those notices, to publish my lecture in book-form as an 'essay,' much amplified and improved: and then it was that the term Bel Canto first crossed my mind. If, I thought, the music of Mozart suggests and requires only beautiful singing, that must be the right name for the little book: and it's 'particular reference to the singing of Mozart' can serve for the sub-title. The result so far has proved that no mistake was made. Now it is the object to avoid as possible any vain repetitions of the statements of fact—the technical details, the plain, the ordinary words of advice—that are to be found in this Essay of mine. I have no desire to bore those who have read it, and still desire to 'choke off' those those who might have some idea of buying it. There can be no necessity for me to describe in these columns what really constitutes 'beautiful singing.' I am perfectly certain that readers are capable of recognizing and acknowledging what we call the Bel Canto, the instant they hear an example of it. The misfortune, of course, is that there is so little of it to be heard. And why? 'Ay,' as Hamlet says, 'there's the rub!' What is the reason of this amazing rarity, which seems to be growing more marked as time goes on? We read and hear all sorts of explanations for it, most of them pitched in a minor, negative key: but they do not help us as a rule to arrive at the truth much less find the remedy. If is of no use, for instance, to tell us that the voices no longer exist. We know better. They are discoverable in all parts of the globe—the more remote and Anti-Podean the more likely. It is equally absurd, in my opinion, to assert that the race of fine teachers ended with this or that man. It don't believe it. There are teachers as capable and discerning to-day as ever there were. Then we are told that this or that secret has been lost, stolen, or mislaid—I am not sure which. Anyhow, I don't believe that either, or, to tell the truth, there was never any actual secret to lose, steal, or mislay. Nevertheless, there must be a fundamental cause for this prevalent rarity of exemplars of the Bel Canto, and it lies, to my thinking, in just as many contributory reasons as there are contributory factors in the great combination which makes up the art of the Bel Canto itself. It there were any real secret it would reside, I think, in that word 'combination.' We are working for high ideals—call it perfection if you will. How can we arrive there except by the perfect union of perfect materials, the latter backed by natural instinct, disposition, environment, brains, industry, and general conditions, which are also perfect for the purpose? That is the combination for and with which we have to strive. We shall attain it about as frequently as the man who plays all his life for the big prize in the Italian lottery. It is a game of "Lotto.' There are five numbers in the winning line, and if you guess only one you gain some sort of prize. If you guess two or more you are extraordinarily lucky; but if you guess the whole conbinazione you win a fortune. We may aptly inquire, 'Is there such a thing as the 'imperfect' Bel Canto? To which I would answer: Yes; just as there are degrees of beauty in all Art and perceptible blemishes in Nature herself. It depends really upon what qualities we include in that which I have termed "The Art and Practice of Beautiful Singing.' Let us suppose these qualities to be grouped under given headings, akin to the five numbers of the combinazione in the lottery. They would stand as follows. 1. Voice (includes ear and physique). 2. Sostenuto (includes breathing, vowel-formation, resonance). 3. Legato (includes the scale, light or dark tone, colour). 4. Flexibility (includes all florid singing). 5. Phrasing (includes diction, expression, and all interpretation). It will be obvious that each and every one of these form part of the Bel Canto; though only when all do so in the fullest degree of perfection is the highest result attained. That is the equivalent of getting every figure correct in the numbers of the 'Lotto' line. (1.) Look how often you groan over the Vox et praeterna nihil. For what the voice does alone is far from being the whole of the Bel Canto any more than the ability to sing well can satisfy without beauty and charm of vocal tone. There must be both elements present in the ideal combination. The reason why the voice comes first into consideration and retains the foremost place throughout, is that it is the human instrument, the basic creator of musical sound upon which the whole vocal structure is built. There is, of course, a vast difference between being gifted with a beautiful voice and being what is called a 'born singer'; but that is another question. The organ remains the prime essential; the supremacy of the tone is, save in the rarest instances, paramount. It serves to convey the melody of the song to the ears of those who listen; and the more beautifully it does so the more beautiful the music seems to be. The simpler the vocal line, the greater the need for irreproachable timbre, emission, and management of the tone. I repeat that the Bel Canto must be all-comprehensive to be worthy of the name. It must be all-beautiful. It must be beautiful in itself, and it must lend an additional beauty to the music which it interprets; it must, moreover, reflect and convey the beauty of the language to which that music is allied. These are qualities that appeal not only to critics, but the the least cultivated audiences who love what they term 'good singing.' Hence their positive dislike for the so-called vibrato, or anything approaching it. They ask, How can a man presume to be a draughtsman if his hand trembles so that he cannot draw a straight line? They want their beloved Mozart tune pure and free from this aspen-like delivery; and they are right. Any sort of tremolo, natural or acquired, has no place in the Bel Canto; its presence at once obliterates the word bel. In the same way, the slightest deviation from the pitch upsets the whole effect. The singer must, therefore, have an impeccable ear. I do not for the moment enlarge upon the question—how far, or in what manner, it is possible for competent instruction to avert or to cure either of the vicious faults just referred to. I merely state that both things are possible, though I greatly prefer the prevention to the cure. But let me add that, if I have heard both the vibrato and false intonation from the mouths of many artists whose names were famous in the 'palmy days' of opera, they ceased from that moment to be in my estimation exponents of the Bel Canto. I except one or two in whom the tremolo appeared only with advancing years; for example, Santley. But from first to last Patti, Tietjens, Nilsson, Scalchi, Trebelli, Sembrich, Patey, Sims Reeves, Edward Lloyd, Ben Davies, Jean and Edouard de Reszke, Lasalle—to name only the pick of those great singers whom I have heard myself—never betrayed the smallest suspicion of it. (2.) It is somewhat difficult to separate from each other the first and second factors in our scheme, so closely are breathing, vowel-formation and resonance bound up with the questions relating to the organ itself. Not have I space to dwell on these at the length they deserve. The science of breathing is of vital importance, but, being the most elusive, it is the most neglected. Correct diaphragmatic breath-pressure is unquestionably the surest guarantee of a steady tone and of every practical gradation of tone-power. Easy, natural, phonetically-accurate vowel-formation has to allow the resultant tone a direct, uninterrupted access, not only from the larynx to the mouth, but to the whole of the resonating cavities or chambers that are provided for the purpose of reinforcing that tone. Here delicacy of adjustment, true balance between force and resistance, in a word, equal proportion and elasticity everywhere, can alone bring about the perfect result. (3.) The value of the perfect scale is inestimable. The art of achieving it is both under-estimated and misunderstood. With the singing of the scale is interwoven the blending of the registers, the direction and management of breath-support on ascending and descending passages, the realization that the tone is permanently centered in the masque (as the picture upon the screen), and that it is by means of the resonance, not the action of the throat muscles, that we anticipate the pitch of the rising scale—just as it is by the maintenance of that resonance that we prevent sudden drops and changes of mechanism in the descending scale. To these last, as to the abuse of the medium and chest registers by pushing the tone upwards with excessive breath-force, may be attributed the so-called 'breaks' which render an even scale impossible, and create some of the worst ills that beset the human voice. On the other hand, the true art requires a legato in which the voice glides imperceptibly from the middle of one note to the middle of the next, without alteration of vowel shape or of resonant position. 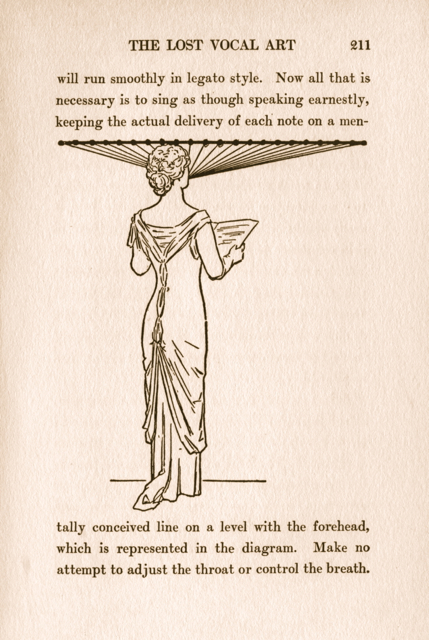 It requires an equal command of the light and dark timbres—the former for the rapid scales and florid passages that are to be executed with combined speed and brilliancy; the sombre tone for the slower scales and for passages that demand a serious, a dramatic, or a declamatory character. This darker tone owes its peculiar qualities, be it remembered, to the deeper position of the larynx, to the enlargement of the pharynx, and to the more extensive use of the resonating cavities at the back of the nose. Without the aid of these accessories such an attribute as colour or variety in singing would be practically impossible. All these things must, therefore, be absolutely indispensable to the accomplishment of the Bel Canto. (4.) It seems reasonable to conclude that our fourth factor, namely Flexibility and Florid Singing, has been allowed for an considered in the section I have just dealt with. Yes; but not adequately. It is true that the legato must and should pervade—unless something else be indicated—every form of vocal phraseology. The smooth, even tone—perfectly sustained, spread, as it were, over the surface of the melody, be it glassy or rippling or billow—is the real cache of the beautiful singer. Without it how can you do justice to the sublime solos of Handel, or Bach, of Hayden, of Mozart? But I think this great feature of the Bel Canto, rare as it has become, is still to be heard. It is still practiced, and therefore available, at the hands of a few distinguished artists, who have devoted the necessary time and labour to mastering it. This is not the occasion for mentioning names, but I fancy most of us can do that for ourselves- on the fingers of two hands, or even one. Anyhow that 'secret' has not been lost! Well, they often did so by dint of every florid device that occurred to them- runs, divisions, ornamentations, brilliant passages of every imaginable description; yet always (such was their genius and their skill) conceived in the spirit of the rest of the piece—that is, in complete harmony with the main design, and no less calculated, according to their belief, to give it vivid an vigorous musical expression. Naturally, therefore, they expected from the singer a rendering entirely in character with their music- not merely a neat execution of their runs and ornaments, but, together with the right energy and accent, a faithful portrayal of the emotion of sentiment conveyed by the text. It is the power of the understanding to do this that I find missing in the oratorio singers of to-day. Indeed, I may say that I have heard no examples of what I amy call the heroic oratorio style for a very long while. 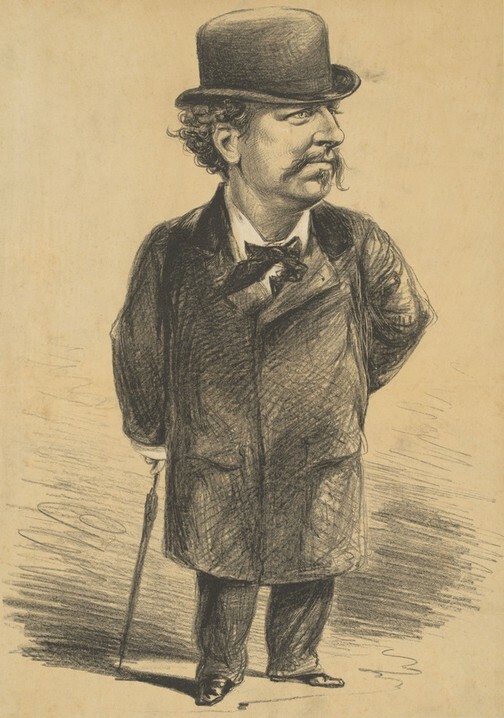 The last Englishman who possessed it in the supreme was Santley. When he sang Why do the nations? or Revenge, Timotheus, you felt that his runs were something more than exercises thrown in for effect. They illustrated and enforced the argument of his theme. Again, I have never heard anyone sing Rejoice greatly or From mighty Kings as did Tietjens. Nilsson sang one and Adelina Patti the other brilliantly enough, and so that their luscious tones penetrated to the farthest corners of the centre transept of the Crystal Palace. So far, it was Bel Canto, to be sure. 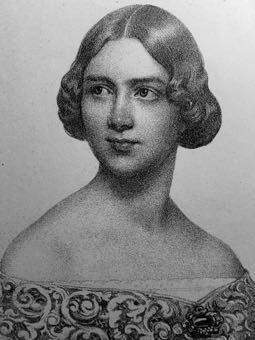 But neither of those gifted sopranos imbued their runs with the extraordinary dramatic quality, the intensity of exaltation, that Tietjens brought to bear, and, as I am told, Jenny Lind had brought to bear upon the same music before her. 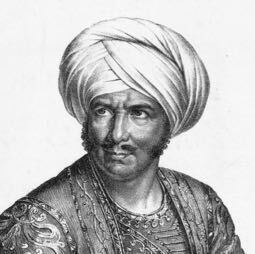 Far back in the 'seventies, too, I heard several times another great oratorio and opera singer, a basso cantante named Agnesi, a favorite at all the festivals, as well as at Her Majesties Theatre. His coloratura was like a woman's, his Rossini as easy and graceful as the song of a bird. But in Handel he declaimed his runs with just that wonderful dramatic sense that I speak of, and made them contribute their full share towards the realization of the poetic idea. How I wish that this rare and remarkable feature of bygone Handelian singing could be revived! (5.) In what I have just been saying I may have trenched slightly upon points that properly belong to the fifth second of my scheme. If so, it only proves how closely these various branches of the subject are allied; and, besides, there was already much more to say on such topics as Phrasing, Diction, Expression, and Interpretation, than space could possibly permit me to add now. It might suffice to observe that the Bel Canto is bound up with the demonstration of all these attributes. So it is. But everybody does not believe it. 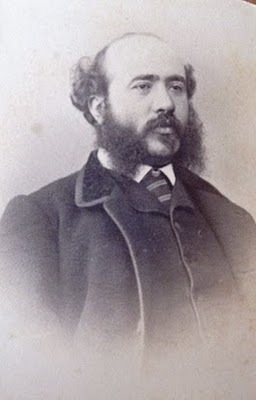 There are to-day those who think, in their wisdom, that the grand old school of Italian singing, taught by Manuel Garcia, Lamperti, and few of their contemporaries, paid little heed to the form or character of the musical phrase; to the value of the consonant; to the pure sounds of the vowels other than those of their language; to the vocal colour demanded by the sense of the text; or, in short, any nuance of utterance or expression that might perchance interfere with uninterrupted flow of this precious Bel Canto. Nothing could be further from the fact. The combination which the old teachers sought to embody in their art was not less rare and wonderful than that which they looked for and sometimes discovered in the virgin talent of their pupils. I repeat that the Bel Canto must be all-comprehensive to be worthy of the name. It must be all-beautiful. It must be beautiful in itself, and it must lend an additional beauty to the music which it interprets; it must, moreover, reflect and convey the beauty of the language to which that music is allied. The pitfalls of speech and language seem to be endless, bottomless. Yet good singing can avoid or overcome them all. It unites singing and speaking into a single act, merges the word into the tone, and makes each free from the interference of the other, whilst preserving the true sound and the natural quality of both. The rest lies with the mentality and temperament of the artist. The present-day tendency to exaggerate is responsible for many evils, and each nationality appears to encourage exaggeration is some from or another. The predominant sin is the vibrato, which began in France, extended to Italy and Russia, and has now secured an alarming hold in England. The countries most free from is pernicious influence are probably Germany and America, through they too have their national vocal sins. 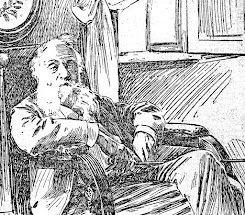 But if British singers can check their inclination to be throaty; if French and the Americans can avoid being nasal; if the Italians and Russians can keep their voices steady; and if the Germans can obtain a sympathetic tone by using their hard-palate less- then what will there be to prevent the universal recognition and adoption of the Bel Canto by all who are capable of recapturing the method of it. I want to conclude these remarks with a word on the subject of Tradition. It is a matter of great importance, and one on which I have been slightly misunderstood. I have never for a moment held the belief that obedience to a traditional rendering of 18th-century music- particularly that of Handel and Mozart- should hamper the singer's conception or individuality of expression. I have never had in mind the kind of tradition that could compel such a thing. There is no hard-and-fast rule either way. If the singer adhered strictly to every not exactly as it appeared upon the printed page he would incur the charge of not knowing this business. If he altered phrases, varied the ornamentation, or introduced appoggiaturas in places where they were not indicated, he would be liable to be told that he was taking unwarranted liberties with the text. Certain things have to be done in a certain manner; and the manner in which they were done during the composer's lifetime, with his approval, is the manner that should set the example for all time. Tradition is the sole means for handling that authority down from generation to generation. Therefore, where there is an alternative choice, let us do our utmost to get hold of the right tradition; and, when we have done so, mind that we follow it and stick to it! Then it will justly fill its place in the art of the Bel Canto. 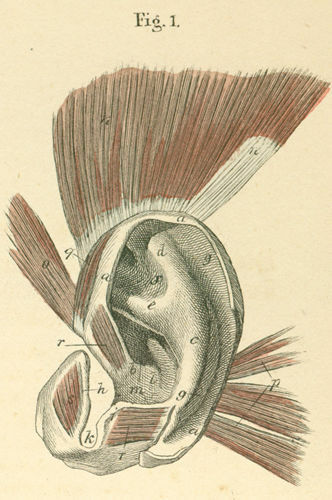 There are five muscles of the ear. Three are external, while two are internal. Why is this knowledge important? Because knowing how to activate the external muscles also activates the two inner muscles. And why is this important to the singer? It's important because this 'opening' of the ear has everything to do with the 'opening' of the voice. It may seem an oversimplification, but if you can wiggle your ears, you are experiencing the 'readiness' to sing. Really. It's that simple. The sensations you have while wiggling your ears indicate the readiness to sing. This readiness extends from the eardrum all the way to the pelvis via the vagus nerve. Ok. So you can't wiggle your ears. What do you do instead? Here are some suggestions. For them to be successful, however, you will need to be able to observe your feelings, that is, develop an awareness of the feeling of the musculature of the head, face and torso. This should proceed out of a calm awareness rather than an attitude of judgement. With your mouth closed and your teeth separated, take a deep breath with the thought of real enjoyment, surprise, wonder or intense alertness. Hold your breath without effort. Better yet: suspend the breath. Place your attention on the external muscles of your ear. What do you feel happening there? There is a connection between the holding of the breath and the external muscles of the ear. They activate, or 'lift' when one is authentically surprised, shocked, sniffing for danger, in a state of bliss, or a deep state of meditation. Place your attention on your face. What do you feel happening there? Don't be surprised if you feel like the muscles around your nose and mouth are 'busy'. Place your attention on your ribcage and torso. What do you feel happening there? 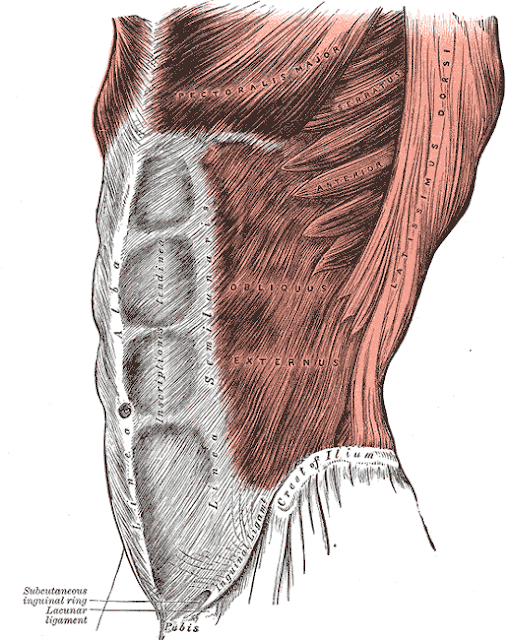 Don't be surprised if you feel the muscles of this part of your body- all the way down to the pelvis- are 'busy'. In fact, when the external ear muscles are raised, all the muscles of the head, face, neck and torso are felt to 'lift, the body itself feeling as if it is hanging from the ears. This feeling of buoyancy is to be encouraged. The Old School called it inhalare la voce. Now sing without losing an iota of the lift in your ears and the buoyancy of your breath. Years ago, after I had been to the Listening Centre in Toronto and had my own ears tuned up, I was standing in the 5th floor rehearsal room at The New York City Opera at Lincoln Center, and observed the most curious thing. Not five feet from me stood a tall baritone with a big booming voice singing the role of Scarpia in Puccini's Tosca. He took a breath, and in the split second before resonant tone filled the room, his ears rose a quarter of an inch. It happened over and over again, his ears staying up for every phrase. I felt the same thing happen when I was at the Centre. Needless it say, I've been looking at ears ever since. I saw this photo this morning on Facebook (original source here). What jumped out at me? Both Ms. Maroney and President Obama's mouths are pointing left. What do you think that means? Ok. That's a rhetorical question. I have a thought or two regarding the answer. Here goes. If Tomatis was right about the ear's active participation in the processing of sound, with the right ear processing higher frequencies faster, a left pointing mouth indicates that the left ear, which cannot process higher frequencies as fast as the right, is being favored. Sure. Both people in the photograph are playing around, but the brain doesn't know any different. Distance is a matter of the left (and I am not talking politics!). If you spend time watching people you'll see what I mean. When we are on the left, we are distant from from we are observing. Closeness? That looks different. It is a matter of the right. This goes back to my post about the Presidential candidates (see here). If you yell at someone, the neural connection to the right ear will be impacted. The right ear will, actively speaking, turn 'off' to protect itself. This is because the person being yelled or spoken to in a negative tone of voice will distance him/herself from the speaker by disengaging the muscles of the ear. But let's back up a minute. What does the active processing of the higher frequencies of the right ear give one? A sense of immediacy, intimacy, depth and and presence. Being yelled at strips this away. This is all the more harmful when the person being yelled at is trapped in his/her environment. If yelling or negative speech is kept up, what do you think will happen to the person's audio-vocal control and their inner thought process over a long period of time? Interestingly, recent social research indicates that if you speak harshly to a person, and then apologize, your one instance of 'right speech' isn't enough (yes..the pun is intended). At least five positive interactions are necessary to ameliorate the effects of that one negative impact. My point is this, since this is a blog about singing: we can learn a great deal by listening and watching. However, this is best done through a mindset - if not an 'ear-set' - of encouragement and affirmation. It's the right thing to do. 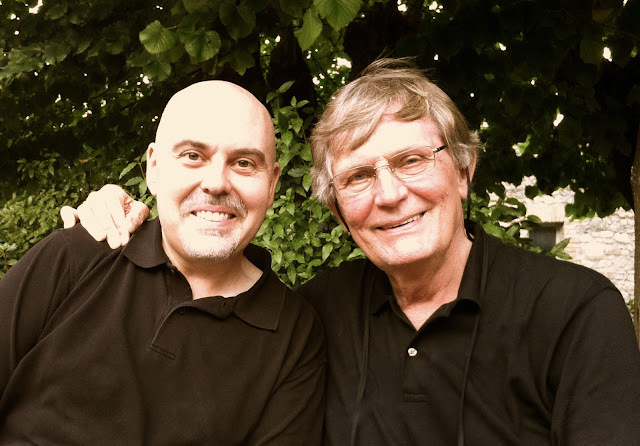 Paulo Faustini & Joseph Flummerfelt post-concert, Montefalco, Italy. The weather is dipping down into the 30's here in Manhattan as I write. But what am I thinking about? Summer, linen shorts, dry red Sagrantino wine from Montefalco, golden light, and singing on the Duomo porch in Spoleto, Italy with Umbrian Serenades. I hope to return to dolce Umbria with Paulo Faustini's wonderful group of singers in July. UMBRIAN SERENADES is a CHORAL and CULTURAL program that brings together passionate singers, amateurs and professionals alike, who seek opportunities to perform exquisite a cappella repertoire spanning from the 16th to the 21st centuries, under JOSEPH FLUMMERFELT, Musical America's 2004 Conductor of the Year, in art-filled venues throughout the breathtaking region of UMBRIA. These "Serenaders" and their travel companions also "taste" and "savor" what the GREEN HEART OF ITALY offers culturally, be it art, history, olive oil, local foods and wines. 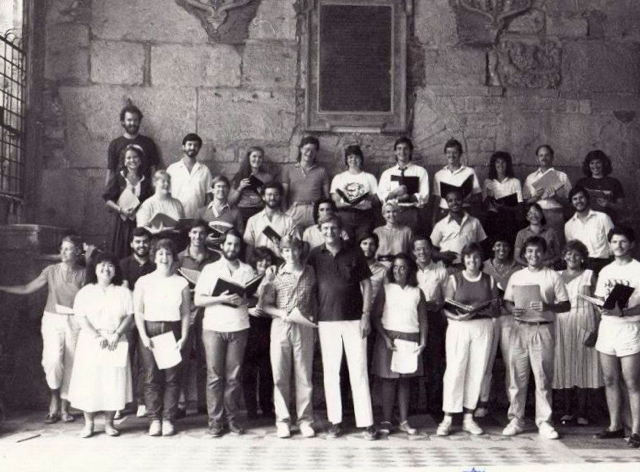 There I am below with Paulo and Maestro Flummerfelt on the Duomo porch for an informal concert in 1985. Paulo and I are standing next to each other in the second row from the bottom on the left, looking like we are having the time of our lives. And we did. That summer, we sang in Puccini's La Fancuilla del West, swathed in Fendi furs, climbing scaffolding in ninety degree heat. It snowed onstage, of course, while we dripped with sweat. But that's the beauty of theatre: you can make the impossible happen if you dream big enough. It was also the summer I had my debut, singing the baritone solos in Gabriel Fauré's Requiem in the Duomo. Italians being Italian, clapped after every movement- and it was wonderful. I encourage you to dream big and apply to Paulo's program. He has created something extraordinary. Whether you are returning to Spoleto has I did two years ago, or experiencing it for the first time, you will realize why Gian Carlo Menotti established the Festival of Two Worlds there. It is a beautiful place. The kind of place that haunts your dreams. The deadline for applications is January 7th, 2013. You can find many more photos of Spoleto and Umbria on my Tumblr blog which you will find in the right hand column below my profile. And if you click on the 'label' below, you will find my other posts on Umbrian Serenades, some of which include sounds clips. Please feel free to email me if you'd like to know more about the program. I'd like to draw your attention to a fascinating book that was featured on this blog two years ago (click here for the original post). There are several reasons for my look in the rearview mirror. The first is that I don't feel like I gave the Annie M. R. Barnette's book Talks About Singing: or how to practice (1886) its 'due'. Another reason is that doing so also gives me the chance to draw your attention to the expanded list of downloadedable historical texts in the right hand column. The nice thing for Ms. Barnette is that, by virtue of her name being at the beginning of the alphabet, her book is currently at the top of the list. Barnett - a student of Luigi Vannuccini in Florence, Italy, wrote a most unusual book in that she is candid in her inclusion and discussion of teaching methods and teachers. Simply put: most of the books one reads from this period aren't so confidential in tone. Barnette, however, gives the reader a very clear sense of how students pursued their studies as well as her strong opinions. Below is an excerpt that addresses the need for teachers of voice to embody their teaching. In short: voice teachers had to be able to sing! It is an opinion that I happen to share. Speaking of which: those who admire the teaching of Francesco Lamperti may be surprised to learn that the great Maestro could sing. This contradicts most known biographical information. Lastly, Barnette places the García's at the top of the vocal pantheon. Of course, that makes this blogger smile, if only because their illustrious name is the biggest in his Cloud. I encourage you to study this book carefully. It is full of treasures waiting to be found. The reason why, among the myriads of teachers of singing, there are so few good ones, is, simply, because men and women— the latter especially, I am sorry to say,— know little or nothing about the cultivation of the voice. The reason why they know no more is because they have not studied sufficiently. To be a good teacher of singing, it is absolutely requisite that you should be a singer, and this fact is beginning to be universally acknowledged. It is not enough to be a fine musician, although that is a most valuable adjunct, but you should have studied singing yourself; your own voice should have been cultivated to its highest capability. Theory alone, even when accompanied by long experience, is not enough, unless joined to practice. I do not say that you must be a fine singer at the present moment, but that you ought to have been able, at some period of your life, at least, to do all with your voice of which any voice is capable, allowing, of course, for natural differences of quality, compass, power, etc. This assertion has often been met by the objection that, "some of the best teachers do not sing at all, themselves," and again, "there are many teachers who could not utter a note, even were their lives to be forfeit, yet who are successful in their profession." To the first, I reply, it is a mistake. All the best teachers in the world do sing now, or have sung in the past. Pietro Romani, who died a few years ago, at a ripe age, taught, perhaps, in the course of a long life, a greater number of masters and singers than any other teacher of the nineteenth century, (except the elder Garcia and his son Manuele, of London.) He held, during his latter years, the almost nominal position of finishing professor in the Royal Conservatory of Music in Florence, Italy. Being in very feeble health, only a few of the most promising pupils were sent to him, whom, in consideration of his advanced years and eminence in his art, he was permitted to teach at his own house. There I have often heard him lift up his thin, quavering voice for his pupils' imitation in forming tones; sometimes, too, he would sing quite through a long cadenza, composed by him at the moment, or, when in the humor, would give the representation of a scene from an opera, which he had heard interpreted, in days gone past, by a celebrated Queen of Song, and into which he, not unfrequently, infused a portion of his own old fire and dignity of voice and manner. I have also heard Lamperti, now over seventy sing entirely through a florid cavatina, for a pupil who could not exactly catch the idea from his rather obscure manner of explanation given in the Milanese dialect, in which he indulges quite roughly, when not in a good humor. Rotoli, of Rome, often sings in public, and a great deal in society, with a pure method and elegant finish and style. Vannuccini, of Florence, my own master, whose lovely voice as a boy-singer in the chapel of the late Grand Duke of Tuscany, gained him the name of "Angela del coro"— Angel of the choir—possesses one of the sweetest, as well as the smallest imaginable light tenor voices, and his manner of singing is so suave, so graceful, so correct and in accordance with the true sentiment of the music and the rules of pure art that his pupils almost hold their breath, fearful of losing a single tone, when he sings a cavatina, or even a few measures of a song in illustration of a certain style, which he is endeavoring to impart. Delle-Sedie, of Paris, a disciple of the pure old school, has been, and is, even now, a fine singer. 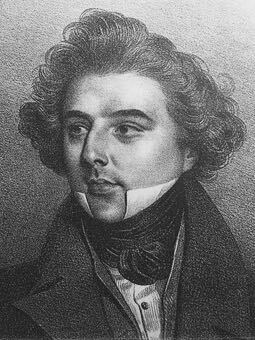 Duprez was a king of tenors; then there is Madame de la Grange, whom many must remember as one of the most finished and artistic singers, who has ever visited America. The Garcias, (Manuele and Madame Pauline Viardot) at the head of all singing teachers in the world, besides having been eminent as singers, are descended from a long line of singing and teaching ancestry; and Shakespeare, of London, a successful master, sings charmingly; and last, Madame Rudersdorf, lately deceased, was, in her day, a magnificent singer, and a clever musician. Theory alone, even when accompanied by long experience, is not enough, unless joined to practice. Now, as to masters, "who have been successful, yet could not utter a note to save their lives," I can only say that I doubt whether this success be anything more than a matter of ephemeral notoriety. The test of success is not the showy singing of a few girls in fashionable society, but the forming of artists and teachers, who, with voices thoroughly and intelligently—not merely mechanically— placed and developed, are able to sing with pure, easy tones, refined taste, true expression and proper style; and whose faults, if not eradicable, are still so skillfully concealed by art, as not to be evident. There are certain voices, so free in their emission, so lovely in quality, so extensive in compass and grand in power, that even an ignorant teacher,—especially if he let them pretty well alone,— can hardly fail to make something of them; but a good teacher will make a poor or an ordinary voice sing well, provided always, that its possessor has sufficient intelligence,— musical or other,— to grasp the intellectual part of the training. Yesterday, a student spontaneously illustrated a concept, which, upon adequate reflection, leads this pedagogue to observe that certain auditory sensations may be a universal matter, at least for classical singers who sing with beautiful chiaroscuro tone. Why? He sees the same thing over and over again. What particular auditory sensation was illustrated? Line. My student was singing beautifully resonant vowels, so I asked him as a matter of inquiry: "Where do you hear that?" What came out of his mouth wasn't as interesting as the talking he did with his hands. They went up to the level of his forehead. Then he traced a line outward to the left and right with both hands. It's not the first time I've seen this. What is fascinating from this teacher's standpoint is that the student usually doesn't have any idea what his/her hands are doing. In that sense, the words coming out of the student's mouth might be inarticulate, but the hands - indeed, the ears - know their business. Yes. I am well aware that the student can't 'send' tone anywhere, but that's not the point. What is the point? The student has to learn to trust their auditory sensations and not logic them out. The following three passages from Warren W. Shaw's The Lost Vocal Art and Its Restoration (1914) shows just how old this kind of thing is. Let the pupil look into the physiology of the throat if he so desires, but let him not think that this knowledge will enable him to sing, any more than that a runner should win a race because his knowledge of the mechanism of his legs. The latter wins because he can run faster than his competitors, and knows better how to use his legs for having trained them; and so it is with the singer. Science is knowing. Art is doing. In order that the singer shall be vocally well equipped, the voice must respond to every pitch desired, as also to quality, quantity, and color, within its natural limitations. These limitations are be no means fixed, expect temporarily, for the voice is like a growing plant. Its growth and development depend upon the manner of its treatment. We shall proceed upon the assumption that the voice will gradually take on its natural habiliments in response to mental conception of effect desired and without recourse to any mechanical adjustment foreign to natural expression. Stand erect and easily, throwing the weight of the body forward, the shoulders will back, the chest up. See that you are not in any way perturbed, and that you are not rigid. Be calm. Now, without any thought of taking breath or controlling breath in any way, sing the exercises, listening to your own voice carefully as you sing, and note the effect. Sing with the idea of producing sounds of equal volume and characteristically the same in quality. In short, sing evenly. Do not pinch or pull in any effort to adjust the position of the tones, and on no account attempt to locally control the breath. Forget it. Remember that breath control is automatic and develops without thought. Sing with the idea of expressing some idea. The mental attitude has everything to do with the result. First, sing the exercises mezzo forte, and idealize the stating of any fact. This we will call the narrative character, and narrative character is not necessarily emotional. Avoid the emotional for the present, but sing with living interest. Sing directly forward, as in earnest speech. Sing on the line. Registers change automatically, unless there is a condition of rigidity, causing interference with normal, natural vocal action. In such cases the remedy is mental energy. Use the willpower to arouse the vital force to produce the musical result and not to locally adjust the mechanism. The idea of commencing vocal work by holding the head and jaw immovable is erroneous. It it promotes rigidity. Move them both freely, just to prove that the thing is entirely possible. You will find that true repose must be the kind that permits you to move freely without upsetting the normal vocal poise. If you don't believe in such things, try it, and you will commence to feel like a free agent, instead of a vocal slave- perhaps for the first time in your life. Before commencing the exercises, one word more about singing on the line, that its meaning may be perfectly clear: this one idea is indeed "Multum in parvum" (Much in little). If you sing on the line you avoid the necessity of thinking a number of things at the same time, which is generally difficult and confusing. Neither repress nor press. Let the mentally conceived tone pour forward. Instead of singing up and down, sing mentally on a level or line. By this mental concept as a guide, the actual firmness of tone combined with flexibility of the parts so much desired, will commence to develop. Pay no attention to the throat. Do not hold it firmly or otherwise. Forget it. True resonance will then commence to be in evidence. This may result in a consciousness of a gentle rising and falling of the larynx. If so, do not attempt to control it. Keep your mind on evenness of effect. The consciousness of this physical activity may be thrust upon the singer at first, but should be allowed to take care of itself. From The Lost Vocal Art and Its Restoration by Warren W. Shaw (1914). Want to read more? You can find Shaw's book here. It's just after midnight as I write this post after reading the news below from ArtsBeat- NYTimes blog that happens to one that I follow in the right hand column. The article appeared late Friday afternoon. New York City Opera’s music library was “totally ruined” by flooding from Hurricane Sandy, but the company’s archival material, going back 60 years, can be salvaged, a spokeswoman said on Friday. Water filled the basement of the Lower Manhattan building, 75 Broad St., where the company rents offices and storage space, last week. Workers had removed about half of the material — consisting of recorded matter, programs, photographs and other items — to higher floors before the storm hit, said the spokeswoman, Risa B. Heller. George Steel, the company’s general manager and artistic director, worked hard to save the material, she said, even operating the freight elevator himself. “Half of our stuff was in that water,” she said. “The minute we learned of that, George contacted conservation experts.” Mr. Steel did not return a message left with the spokeswoman on Friday. The materials in the basement were retrieved Thursday or Friday, Ms. Heller said, and would be treated and restored by Rapid Refile, a document recovery firm based in Allentown, Pa.
“We’re working with various libraries to find a permanent home for those materials,” she said. Ms. Heller said the company’s library of orchestra parts for an undetermined number of operas could be replaced at a reasonable price, although years of bowings and other performance indications would cost more. The “historic value of our old materials cannot be usefully calculated, but it is a very sad loss,” she said in a later e-mail. Other non-archival material like payroll records and administrative files were also destroyed, she said. 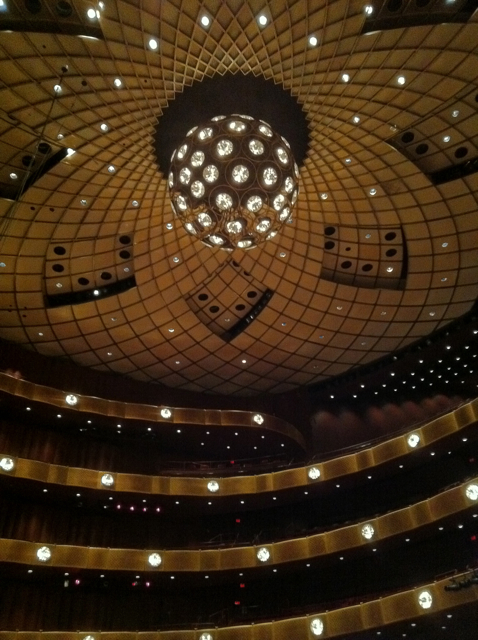 City Opera’s administration took up residence at 75 Broad St. after the company moved out of its Lincoln Center home, the David H. Koch Theater, last season. From the little that can be gleaned from the article, it seems that some - but not all - boxes containing archive material were removed from the basement, while those containing administrative records and music library materials were not. It also seems that a decision was made to cut losses and expenses by only sending archival material to be 'salvaged'. After all, how is it that drowned library materials and administrative records cannot be salvaged but archive materials can? It's great that NYCO is now looking for a permanent home for what remains of its archive. I just hope it's not a little too late. Making good on its intention, however, would be a big step in the right direction. One last point: the "historic value" of NYCO's archive cannot be "usefully calculated" because it was never inventoried and catalogued. Those who have basic home-owner insurance know the important of that. What an bizarre week. First there was Sandy, then I lost a beloved beret and scarf, then this blog to technical issues for more than two days. Terrible timing too, since my last post on NYCO was riding a wave (terrible allusion, I know, but you have to laugh or you will cry). However, I had expert assistance from Isabelle Garbani, who guided me through the labyrinth, showing me how to get things up and running again. Isabelle is an artist and also supports artists by building websites, having constructed mine - in fact - at www.shigovoicestudio.com. Quick, knowledgable, efficient and calm in the face of this blogger's madness, I recommend her oh-so-very highly. Please find her at her personal website and Websites for Artists. She does great work. Oh... I found my beret and scarf at a lovely French place around the corner. I'd left them there a few days ago. Duh! The sound you hear is a big sigh of relief. The Wall Street Journal reported on November 1st that New York City Opera's musical library and archive, which was housed in a basement in the company's offices in lower Manhattan, was flooded by the 11 foot storm surge that inundated the area earlier this week as a result of hurricane Sandy. This blog first reported on concern for NYCO's archives a year ago, starting in a series of posts on November 5th, 2011, which you can find here. As the cost of cleaning up and rebuilding after Sandy climbs into the billions of dollars, the cultural community is facing the loss of objects and artifacts that could be considered priceless, from conductors' handwritten notes on orchestral scores to a more than century-old pendent silver linden tree in the Bronx. New York City Opera's musical library and archives, located 75 Broad St., have been damaged by water that all but filled the basement of the building. Hundreds of boxes were submerged from at least Tuesday until the room was drained Thursday. Although the exact contents are not known, the archive included Playbills, recordings and sheet music that could contain notes by legendary conductors such as Erich Leinsdorf, Juilus Rudel and others. 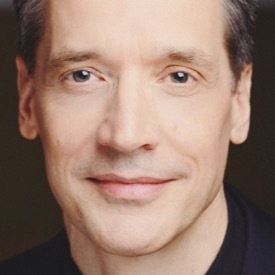 "Once you play the show, there are conductor's marks and bowing," said City Opera's general manager and artistic director, George Steel, referring to directions given to strings. "There is knowledge that does not exist anywhere else." In their preparations for the storm, Mr. Steel and Barbara Wohlsen, the company's director of production, moved about 40 of the boxes to the company's offices on the 10th floor. "I don't know what exactly was in the boxes," Mr. Steel said. "The ones labeled 'Beverly Sills,' I took upstairs. I know that I took some audio and video tapes." When the basement water has been fully drained, the materials will be transferred to the care of Rapid Refile, a document-reprocessing company based in Allentown, Pa. There, they will be blast frozen, which stops the bleeding of ink and microbial growth. Another step turns the fine ice crystals directly into a gas, so the paper is never re-wetted or wrinkled. The process can cost between $40 and $70 per cubic foot. Rapid Refile's director of field services, Joe Perko, said that after the documents are stabilized, the sorting process can begin. "In a controlled environment, the client goes through the material and decides what will receive additional treatment," he said. Attempting that process prior to stabilization would result in further damage. "You can go through every box as it's wet, but it will take a tremendous amount of time, especially if it's paper. It's difficult to separate." Even with conservation efforts, it seems certain that a great deal of NYCO's history and heritage is now lost, historic photographs, artist's drawings, and audio tapes being especially vulnerable to water damage. 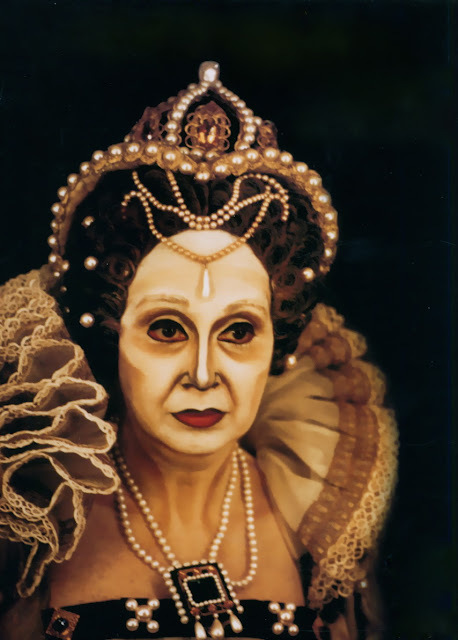 Photo of Beverly Sills as Elisabetta in Donizetti's Roberto Devereux, NYCO, c. 1969.